darkSpyro - Spyro and Skylanders Forum - The Legend of Spyro: The Eternal Night - Those cheap, Hyena-Wolf enemies. 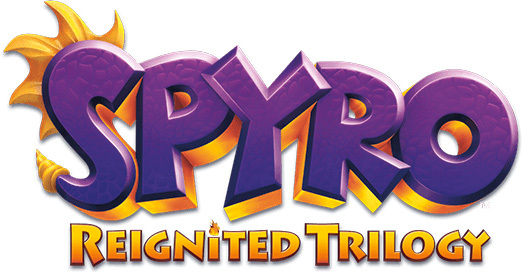 darkSpyro - Spyro and Skylanders Forum > The Legend of Spyro: The Eternal Night > Those cheap, Hyena-Wolf enemies. Anyone else notice how absurdly cheap these things are? I couldn't get past the Swamp area because of them. This whole game was cheap. I hop around constantly then cheat and use dark spyro on their butts. I HATE THEM. And the method I always use is to constantly spam the Comet Dash. Seems to take about 2 of them to kill one, plus it's a pretty fast attack. You've got Dark Spyro. Then just spam the LASER and you're okay. My tactic: Headbutt them as they headbutt you, the collision knocks them back so when they're lying on the ground spam melee or elemental attacks. Usually I'm not the cheating kind, but those things make me so frikkin cheesed I love to beat the crap out of them. Unless my triangle button action derps out and i have to mash on every button a thousand times. Or I attack from above with dark spyro's slow flap thing when he lazerz stuff. As the game progressed, I started to use the Earth Pound followed by an Earth Flail combination. Makes short work of EVERYTHING. ESPECIALLY those aggrevating Hyena-Wolves. I would LOVE to use the earth whirlwind dealios from ANB in this game, on MANY enemies. Those things were so useful. Overall though, my most hated enemies are Blunder Tails. Why? Well, they're fairly average enemies on the PS2 which has normal controls in this game, but good luck fighting them on the Wii version with the terrible motion controls. Not bashing the Wii, one of my fave consoles, but WHYYYY did they use the waggle on melee attacks? I was just thinking the same thing, apart from that it's not that it WAS cheap, because it still is. I think I'd rather play Dawn of the Dragon. I looooooovvvvvvveeeeee this game tis awesome!!!! use dragon time to beat hard.